Enjoy a different experience at the ibis Styles Vitória da Conquista, a hotel with modern décor inspired by a world passion: coffee! Relax in well-equipped rooms featuring a comfortable Sweet Bed. Make the most of the varied restaurant menu, bar, kids' space, fitness center and meeting room for up to 6 people. 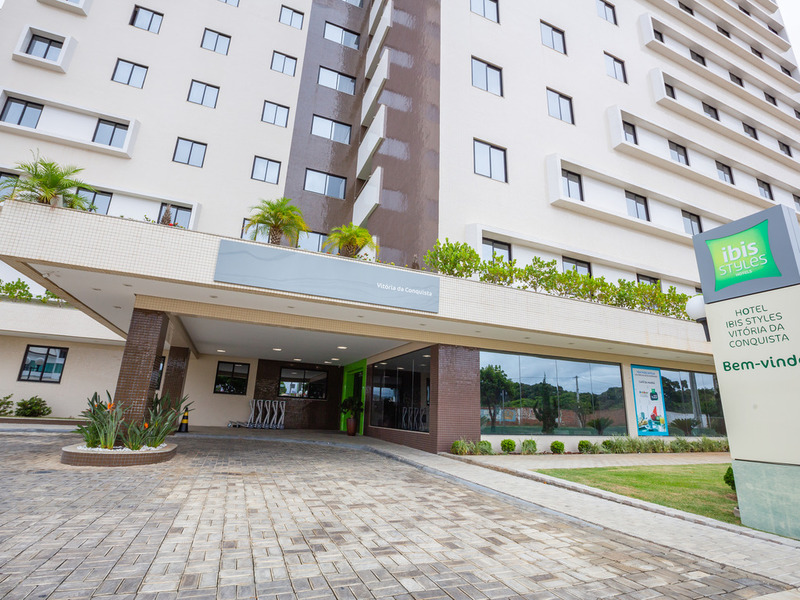 The hotel is located close to the airport, 1.9 miles (3 km) from the bus station and 1.8 miles (2.9 km) from the Teopompo de Almeida Exhibition Park, which hosts events such as the Winter Festival. The ibis Styles Vitoria da Conquista hotel features a fitness center with a range of equipment and a kids' space, as well as a 24-hour bar. Holding up to 160 people and offering a varied menu with individual dishes, desserts and drinks, our restaurant has a coffee-inspired theme and invites guests to enjoy a unique experience! The Comes e Bebes bar offers dining options, snacks and hot and cold drinks 24 hours a day.